Most people think having a company to hang Christmas lights will be way to expensive and there will be hidden costs, which will end up costing a fortune. This might be true if you high a shoddy company, or person, to do the job, but when you hire the right Christmas lighting company you should know from the start what you are paying for. You may also come to find that the money spent is worth the time you get back, and the hassle you don’t have to deal with anymore. Here is how you can utilize a Christmas lighting service without spending a fortune. Always…always…always…have a budget. Get your pen and paper out decide exactly what your willing to spend on Christmas lights, you should have a range that you would be comfortable spending, and a maximum number that you do not feel comfortable going over. Having a budget makes it easier on the company doing the work as well. The company representative will be able to determine what items might be included within the a given range, and what items can be held off for a later time. If you don’t know what the average cost would be for Christmas lighting service, you can do some quick research, or you can simply ask the company. They will typically have a wide range of clients they work with, but should be able to give you a pretty good average estimate. If you are a first year Christmas lighting client ask if there is any discount that can be applied to the service. 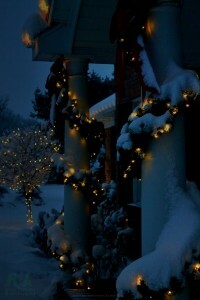 Many times companies that offer Christmas lighting service will give new clients a discount on the materials purchased. This may also be true for current clients, whether renewing or adding addtional Christmas lights or decorations. Even just a 10% discount can really save you some cash, so be sure to ask! And, if you are a returning client and the Christmas lighting service company offers a discount when renewing by a certain date, be sure to take advantage of that offer, depending on your renewal contract, the savings may be enough to add some new holiday decorating components! Utilizing a professional Christmas lighting service isn’t as expensive as many people believe it to be. But always make sure to know your budget and ask if there are any discounts available. And also…know what is included in the service; do you own the lights or just rent them, what happens if a light goes out, when you can expect the lights to be put up and also taken down, do you have to store your lights or will the company handle that as well. There are lots of questions you should seek answers to, to make sure you are getting what you want and need out of the Christmas lighting service. 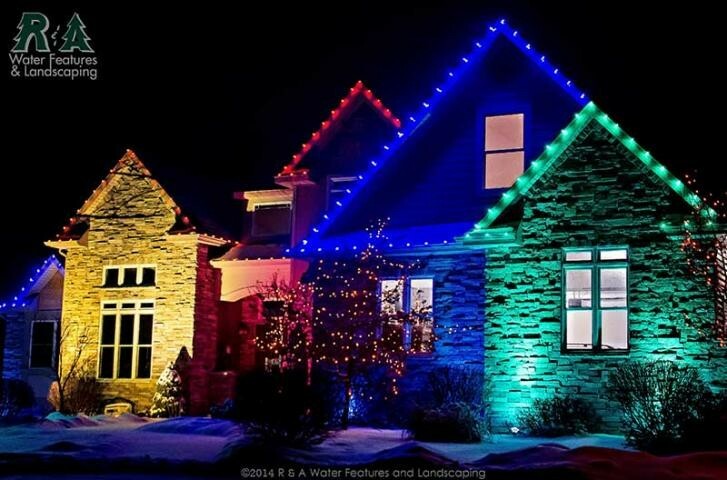 If you’re ready to get started on your Christmas lighting contact us today, you can also check out some recent holiday decorating projects in Kalamazoo and Grand Rapids.